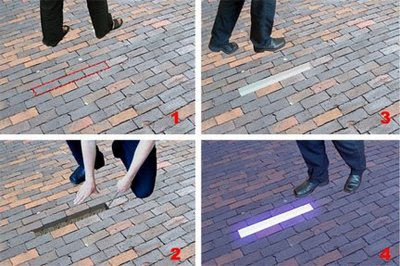 I've seen some examples of in-pavement lighting - and interesting idea for plazas and more subtle... from working on a competition, and doing a few streetscape projects at work, these alternative pavings (and recent post about new(er) forms of adaptated lighting) are some great tools in the designers arsenal. 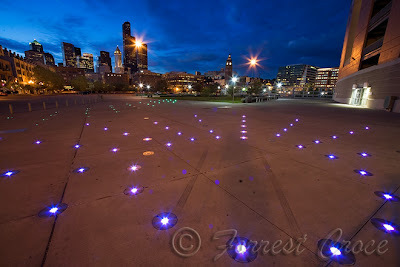 First, last year when in Seattle, I spotted the plaza at Qwest Field, with pinlights arrayed in a pattern in the pavement. 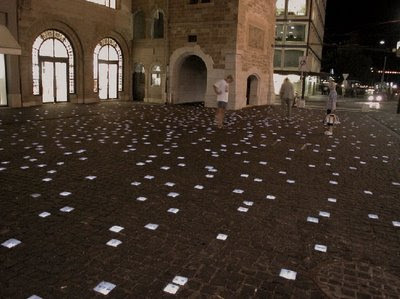 My pic was kind of off, so I found this one online - a good example of some fine night photography as well. A couple of great posts from Atelier A+D from a couple of projects featured in June. First from, "...Howeler + Yoon... a landscape design - Switch - in which new and old techonologies, and soft and hard textures are braided together to created an integrated and interactive landscape." 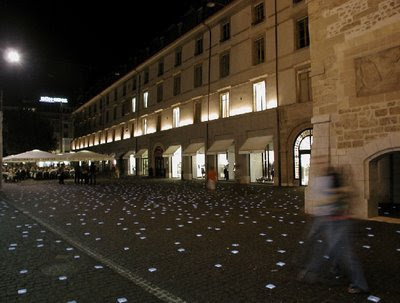 Another: "This modern intervention in an old Geneva square (or actually... a trapezoid) by Swiss firm 2b Architectes is quite beautiful. 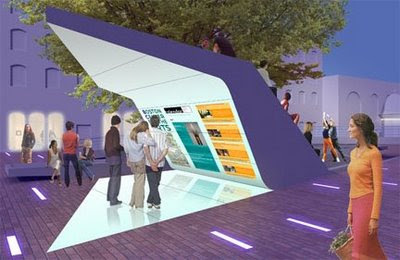 The design manages to be completely modern, yet still evoke images of the past. Using traditional sandstone, as well as glass blocks or cobblestones in a random pattern, the architects are letting you in on a secret - a lake used to occupy this land. The closer you get to the location of the medieval lake, the closer the glass blocks are spaced." 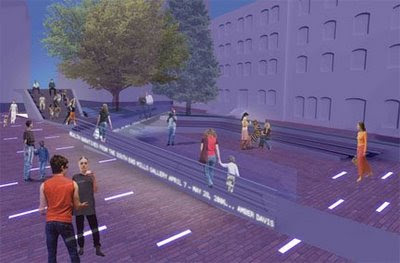 While new lighting products are coming out every day, and they are definitely outside of the traditional boxes, these solutions offer some opportunities provide unique site specific and interesting ways of integrating with the specific design solution. Any other examples out there...? That called something different. 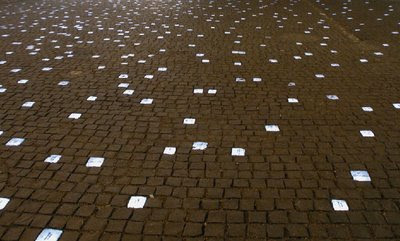 I like most lighting brick pavings. Nice to share with us.